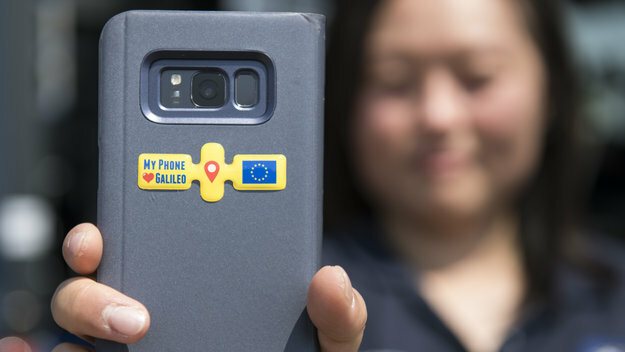 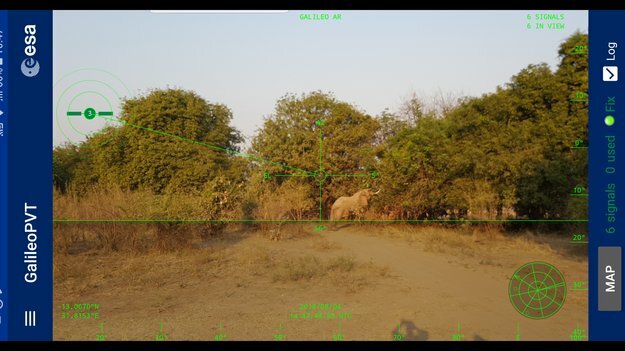 Use Europe’s satellite navigation system to seek treasure in virtual mazes or ‘see’ Galileos as they cross the sky above you: two new Android smartphone apps based on Galileo are now available for general download, the results of a competition by ESA trainees. 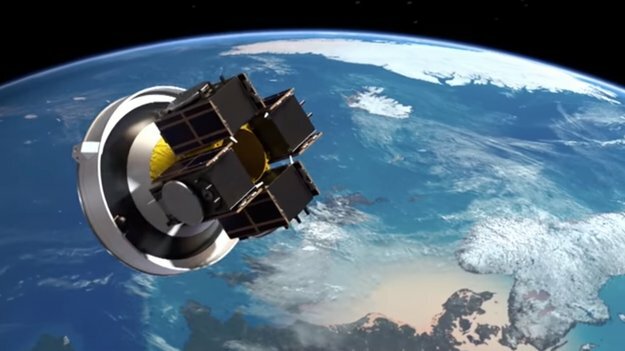 With 26 Galileo satellites in orbit around Earth, delivering services to users worldwide, what comes next? 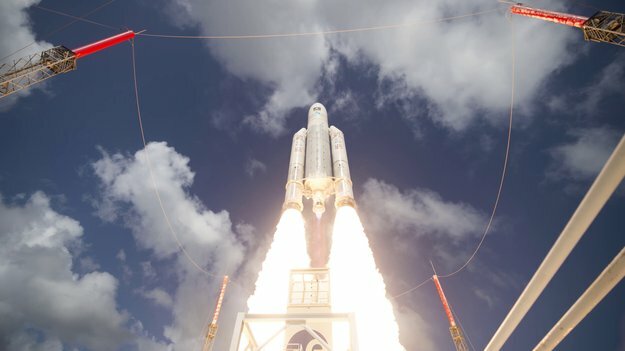 The ESA programme generating exciting new ideas for navigation technology is hosting its first Industry Days at the Agency’s technical heart in the new year – and companies from ESA Member States are invited to attend. 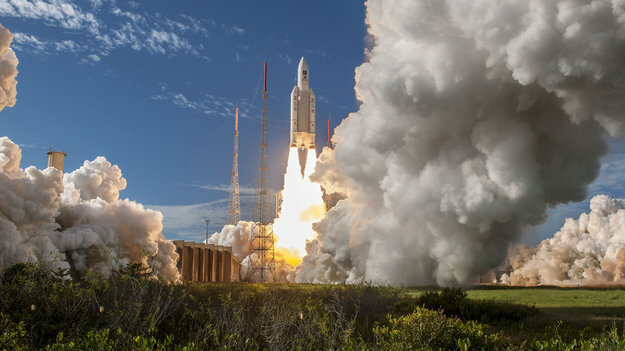 With Europe’s Galileo constellation in space now expanded to 26 navigation satellites – and Galileo Initial Services available to users worldwide – the infrastructure on the ground that controls them is undergoing a corresponding expansion. 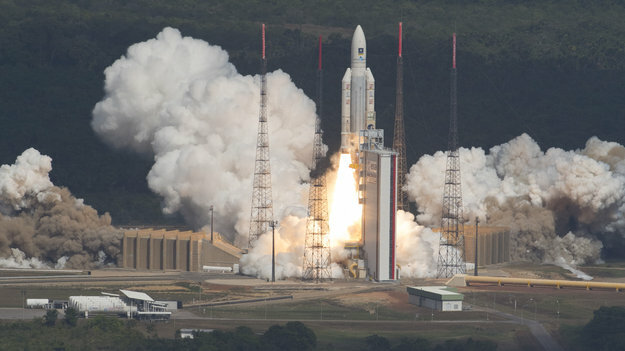 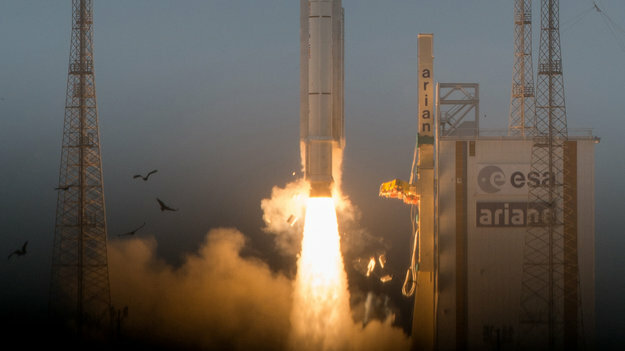 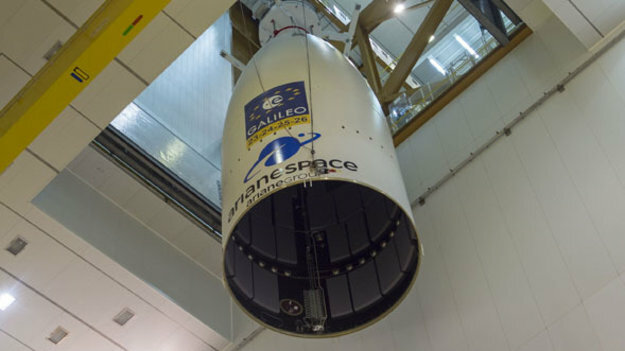 Europe’s next Galileo satellites have been put in place on top of the Ariane 5 launcher due to lift them from Europe’s Spaceport in Kourou, French Guiana on Wednesday 25 July. 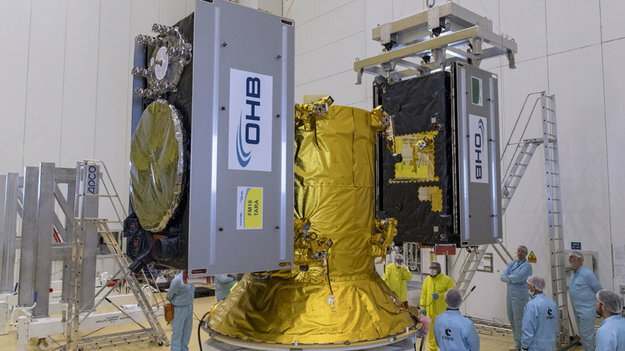 Europe’s next four Galileo satellites have been fuelled for launch at Europe’s Spaceport in Kourou, French Guiana, in preparation for their launch on 25 July. 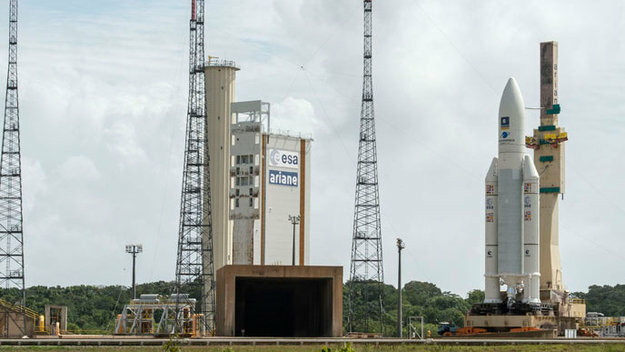 Europe’s next four Galileo satellites have been fuelled at Europe’s Spaceport in Kourou, French Guiana, in preparation for their launch on 25 July. 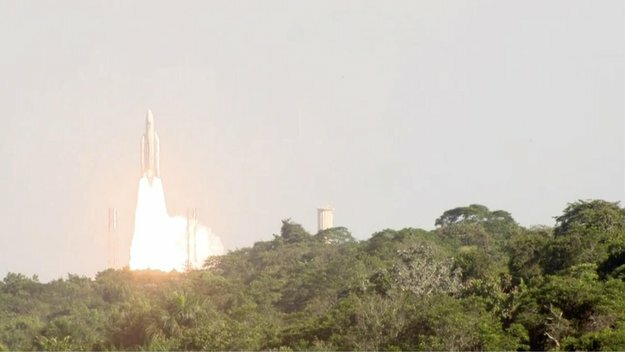 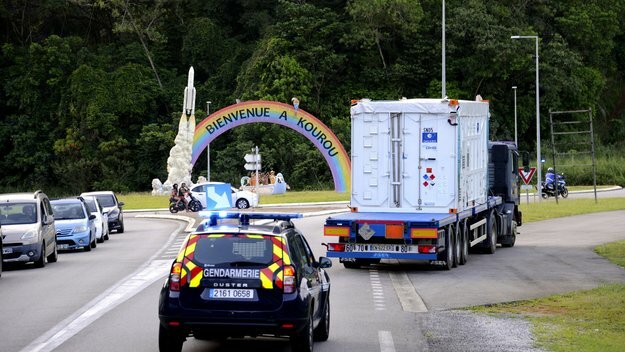 Galileo satellites 25 and 26 have landed at Europe’s Spaceport in Kourou, French Guiana, joining their two predecessors ahead of their 25 July launch by Ariane 5. 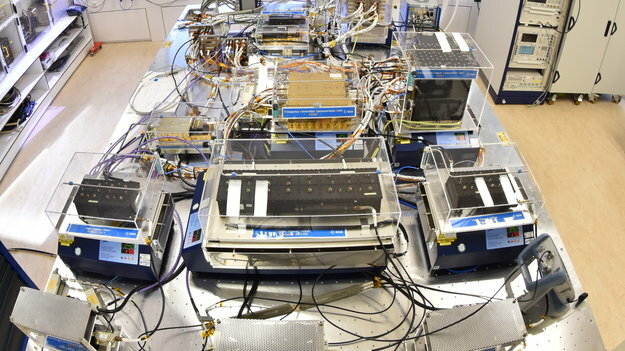 This year’s ESA–Joint Research Centre International Summer School on Global Navigation Satellite Systems is taking place in July, in the spa resort of Loipersdorf, Austria. 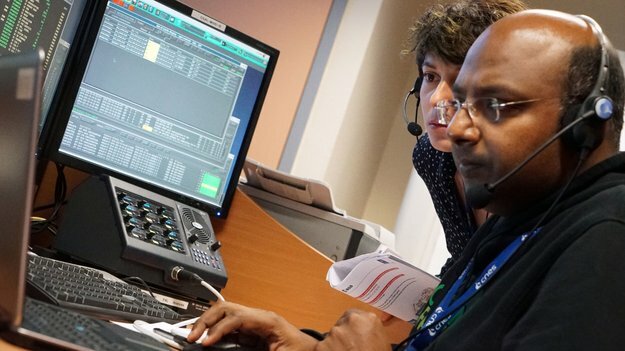 The 10-day course will cover all aspects of satellite navigation, up to and including the development of a potential satnav-based business. 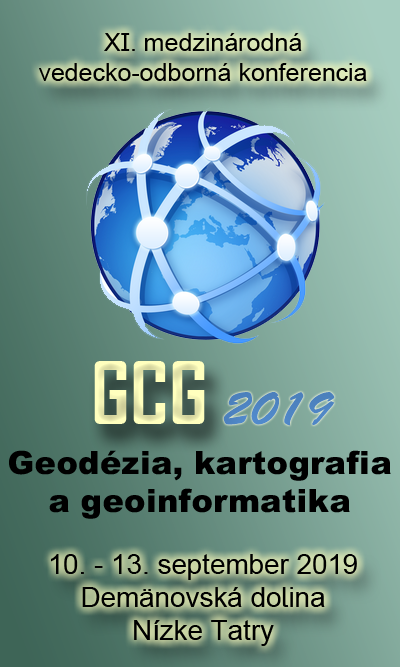 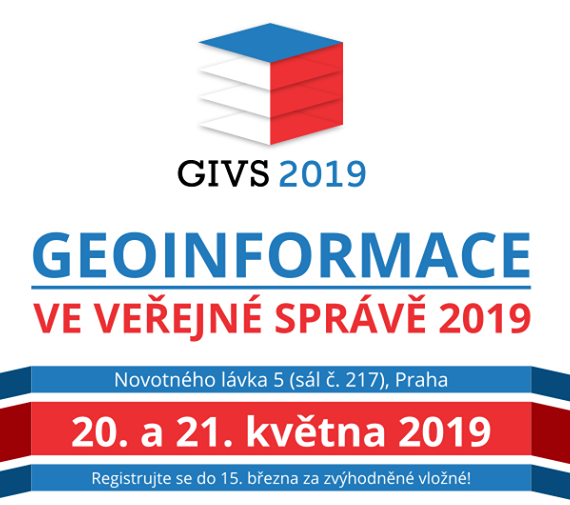 Participants will receive a full-spectrum overview of satellite navigation, starting from the theoretical basis of Global Navigation Satellite Systems, their signals and processing by receivers, and how the final ‘position–navigation–time’ solution is worked out. 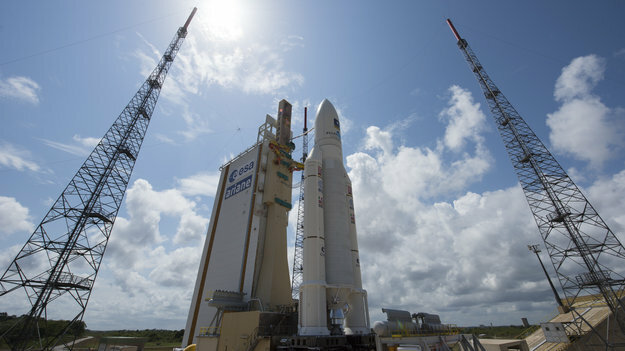 On the practical side, exercises will include receiving signals from Galileo and its fellow satnav systems. 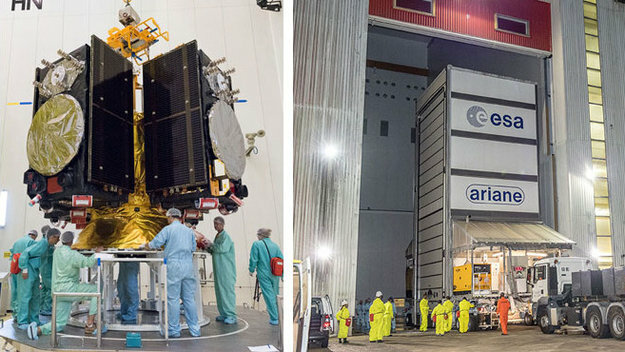 Europe’s next four Galileo navigation satellites and the Ariane 5 rocket due to lift them into orbit are being readied for their 12 December launch from Europe’s Spaceport in Kourou, French Guiana. 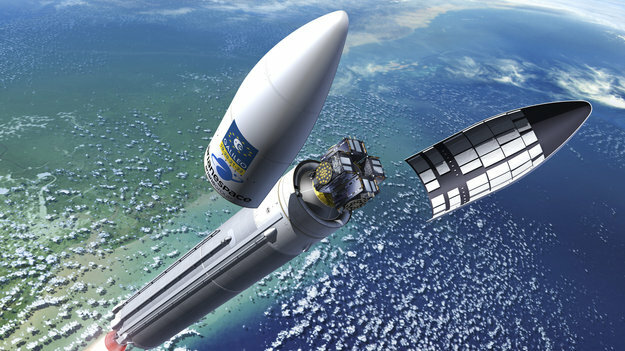 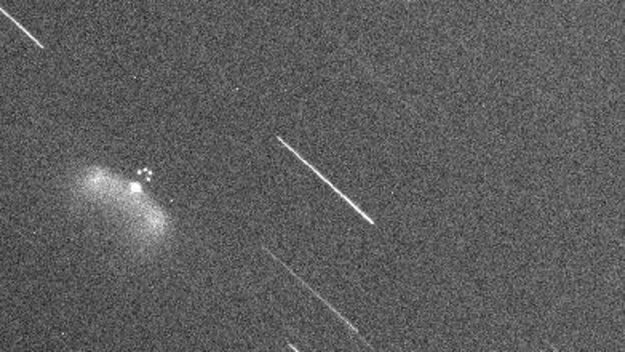 Europe’s Galileo navigation constellation will gain an additional eight satellites, bringing it to completion, thanks to a contract signed today at the Paris Air and Space Show. 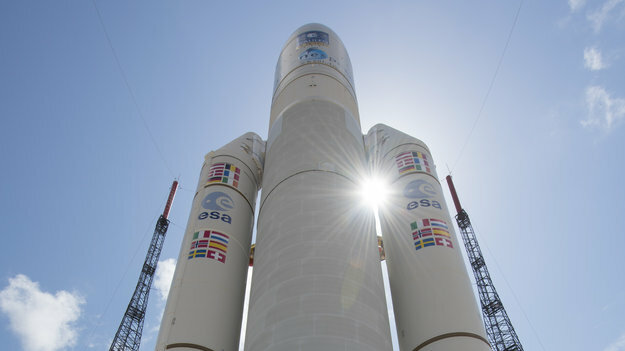 Two further satellites have formally become part of Europe’s Galileo satnav system, broadcasting timing and navigation signals worldwide while also picking up distress calls across the planet. 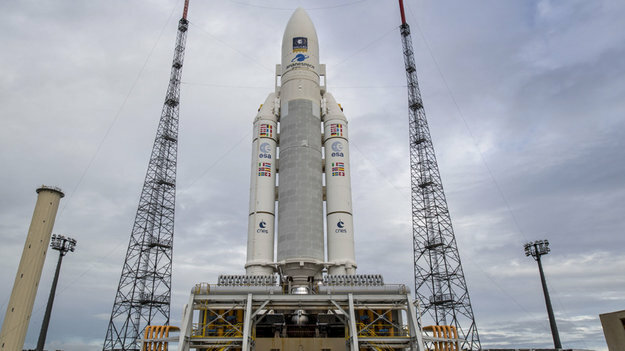 The engineering team behind the signal technology underpinning Europe’s Galileo satellite navigation system has reached the final of this year’s European Inventor Award. 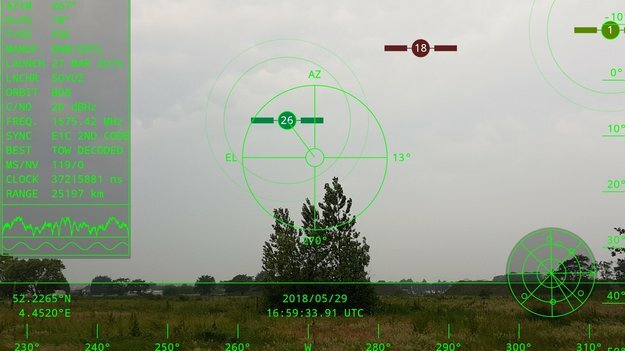 The engineering team behind the signal technology underpinning Europe’s Galileo satellite navigation system has reached the final of this year’s European Inventor Award, run by the European Patent Office. 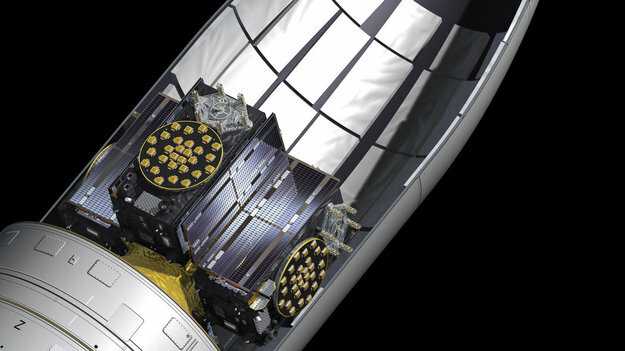 Upgrades to the monitoring stations underpinning Europe’s EGNOS satnav augmentation system will support its evolution. 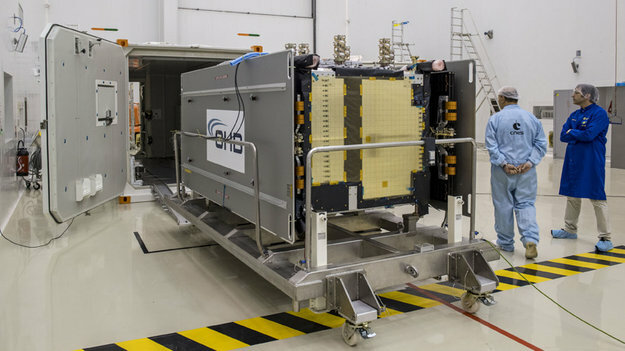 Brad Parkinson, hailed as the father of GPS, has visited ESA’s technical heart to meet the team behind Europe’s Galileo satellite navigation system. 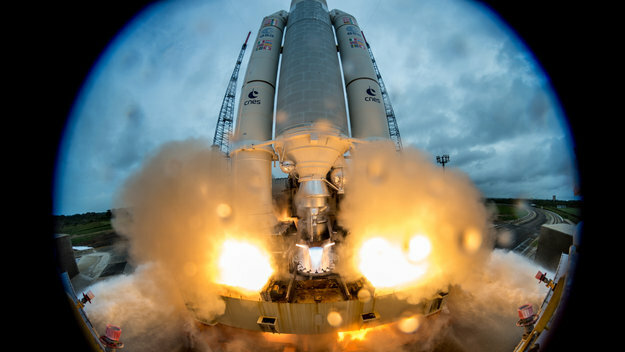 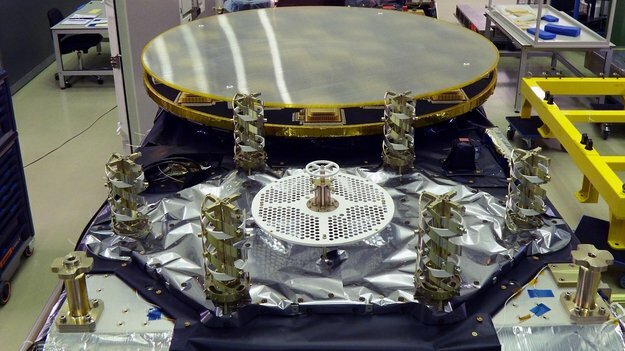 Europe’s own Galileo satellite navigation system has begun operating, with the satellites in space delivering positioning, navigation and timing information to users around the globe. 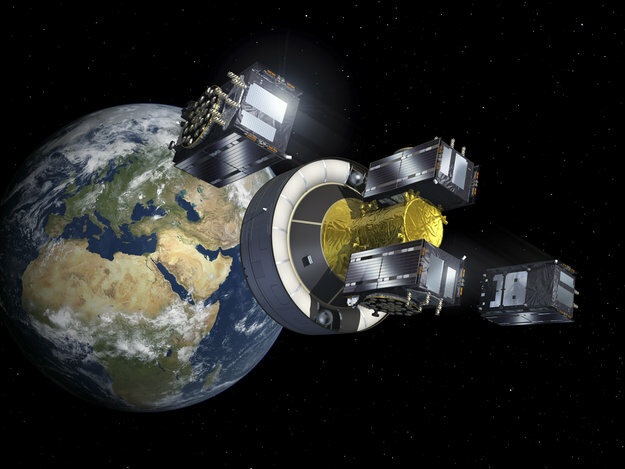 Galileo satellites 13 and 14 have begun transmitting navigation signals as fully operational members of Europe’s satnav constellation. 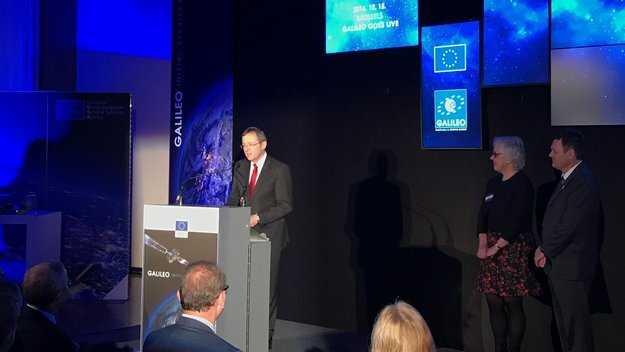 With Europe’s Galileo satnav constellation soon to provide initial services, ESA is looking further ahead: its next-stage navigation research programme received strong backing during last week’s Council at Ministerial level. 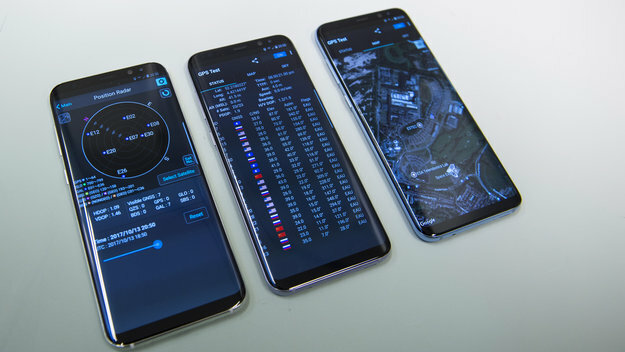 Technology developed as part of Europe’s satellite navigation-augmenting EGNOS system has been sold to South Korea to serve its national equivalent system.